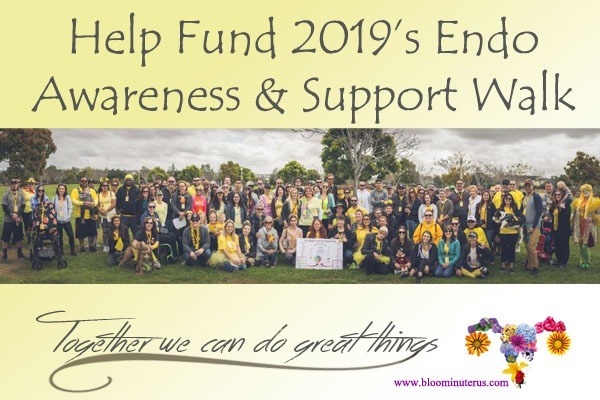 As you may know, each year since 2015 Bloomin' Uterus hosts an Endometriosis Awareness & Support Walk. Every walk is free for attendees. And all past expenses and fees have come out of my pocket. Any donations received (through a separate gofundme campaign ) have gone directly to the Endometriosis Foundation of America...I didn't want to have it any other way. Over the years, our walks have continued to grow in size. Which is absolutely incredible and wonderful!!! This year, our permit will allow us to have up to 300 attendees! However, due to the increased number of attendees, the permit requirements from the City of San Diego continue to increase...as do my personal expenses. So, this year, for the first time ever, I'm asking for your help. 2. Event Insurance costs: $201 through R.V. Nuccio & Associates, Inc.
Again, if I don't recover these costs, the walk will still go on! I love our walks. And being with you gals and your friends and family. And I am so VERY excited that 2019's walk will be going forward.